Winfield is a village located in DuPage County, Illinois. As of the 2000 census, the village had a total population of 8,718. The village has a total area of 2.7 square miles. Winfield is home to Central DuPage Hospital, one of the largest hospitals in the Chicago suburbs. 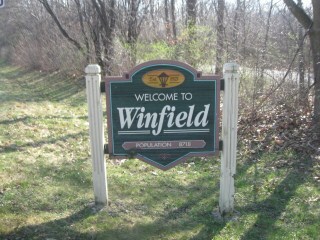 Winfield is located on the Union Pacific train line which provides regular commuter rail service to Chicago. The well known Cantigny Park with its beautiful gardens, museums and golf course is located just south of Winfield. The village is located in close proximity to I-88 and I-355. There is a Metra rail line with a station in downtown Winfield giving commuters easy access to Chicago. Citywide Services provides residential appraisal service in Winfield, Illinois 60190. Appraisals for conventional or FHA loans, divorce, bankruptcy, tax appeals, and estate purposes. Our appraisers are state certified and have experience with single family homes, town houses, condominiums as well as small residential income properties. When you need to find an appraiser in DuPage County contact Citywide.